New name. New logo. Growing global franchises. Yep, it was time for a refresh on the website,too. Enter Two Row Studio. 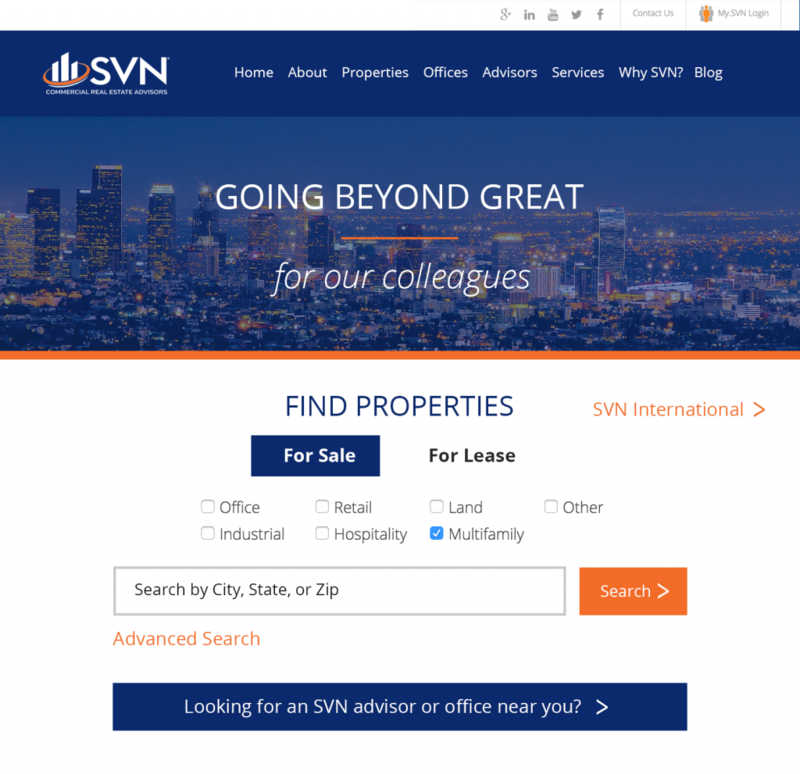 SVN came to us and explained that they wanted to disrupt the commercial real estate market. The old guard was becoming exactly that: old. They wanted to make sure that their core differences of “shared value” were clear not only to potential customers, but also to a young crop of agents. Collaboration is at the heart of their culture we helped them make sure that came through without losing the core reason for the business – to facilitate real estate deals in a fair way so that everyone could benefit.